March may have roared in like a lion, but the awesome nerds of Ann Arbor are howling back! Up this month: the history of cataract surgery, how to be a great DJ in 5 simple steps, and how 80s cartoons can teach you to be a better writer. Friends, beers, and nerdery–can you find a better Thursday night? 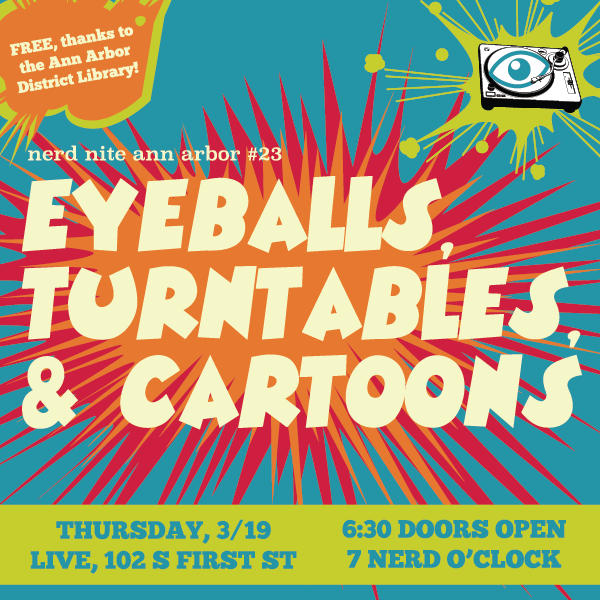 See you this month at Nerd Nite Ann Arbor! When: March 19, 2015, doors at 6:30pm, talks at 7pm! $$$: NO COVER! Thanks a million, Ann Arbor District Library!! Cataracts are the most common cause of blindness on the planet. 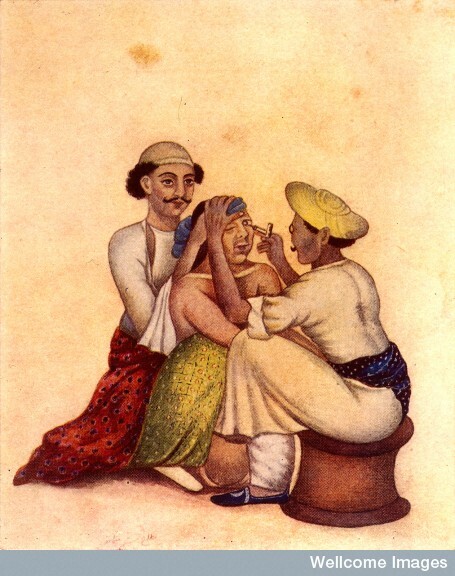 Long before anesthesia or antiseptics, cataract surgeries were being performed. This talk will touch on the evolution of the procedure from ancient to modern times. A few of the questions we’ll answer along the way: Why is the sky blue? Is staring at an eclipse really bad for your eyes? Where do orange carrots come from? Zvi Kresch is a faculty member at the UM Kellogg Eye Center. Prior to coming to UM, he spent a year traveling with his wife and practicing ophthalmology abroad with the The Himalayan Cataract Project. He was exposed to different types of cataract surgery and became very interested in the procedure’s origins. When not studying eyeballs, Zvi enjoys chess, making kombucha and playing the harmonica. 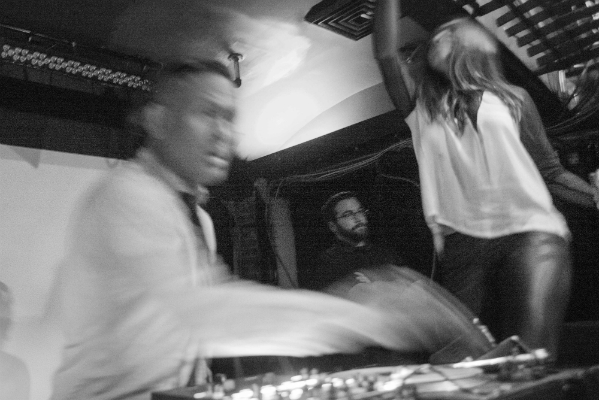 In this talk, DEFTMIX uses concepts from Strunk and White’s classic college textbook, “Elements of Style” to distill 5 Simple Steps to becoming a “Great DJ”. 80s cartoons were nothing more than half-hour toy commercials with a sprinkle of moralistic preaching to sweeten the pill for parents, right? Cartoonist Jerzy Drozd explores 5 writing tips one can glean from a closer examination of the cartoons of our youth. Jerzy Drozd is one of the artists of The Warren Commission Report. He leads cartooning workshops for children and teens in libraries and schools; podcasts prolifically about comics and how to make them at ComicsAreGreat.com, KidsComicsRevolution.com, and LeanIntoArt.com. 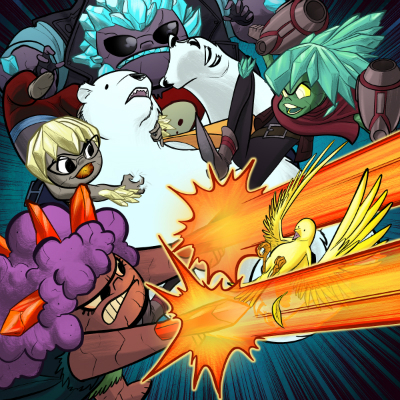 He wrote and drew the graphic novel The Front, has worked on Antarctic Press’s Ninja High School and PPV: Pay- Per-View (which he cocreated with Tom Root, writer of Cartoon Network’s Robot Chicken), and has drawn special projects for Marvel Comics, Glencoe/McGraw-Hill, VIZ Media, and others. He lives in Ann Arbor with his wife and two cats.